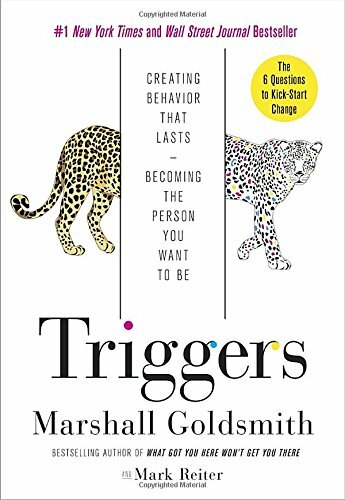 In Marshall Goldsmith's book Triggers, he discusses the advantages of structures and by having them, we maintain control over our environments which are often unpredictable and full of variations. Goldsmith says successful people do well with creating structures, yet a lot of people don't when it comes to interpersonal behaviors. "Structure is fine for organizing our calendar, or learning a technically difficult task, or managing other people, or improving a quantifiable skill. But for the simple tasks of interacting with other people we prefer to wing it —for reasons that sound like misguided variations on "I shouldn't need to do that." Although a budget provides structure for spending, your interpersonal behaviors will often collide with your budget. Planning to spend $50 on a nice evening dinner is great. Your boundary is set. You have a plan and you can execute that plan with relative ease. That is, until the environment in which you planned to spend that $50 changes. Suppose now you're going with friends who want to go somewhere nicer. Without the structure of your interpersonal behavior, you might agree to a restaurant that is easily going to reach $100 rather than the $50 you had originally planned. Rather than struggle through the idea that you might upset your friends or that they might judge you for not splurging on occasion, you give in. Interpersonal behaviors can break through your structures more easily than anything else. As you budget each line item you have to consider contingency plans where relationships are involved. A completed zero-based budget is not the end of your planning —it's only the beginning. This is because you have to consider how your budget may be at risk when areas of your life that don't have structure influence your spending. Consider how the areas of your budget where you struggle most are impacted because of interactions with others. Simply identifying a risk is often the best way to avoid it. May you be blessed with a good balance between money and relationships.